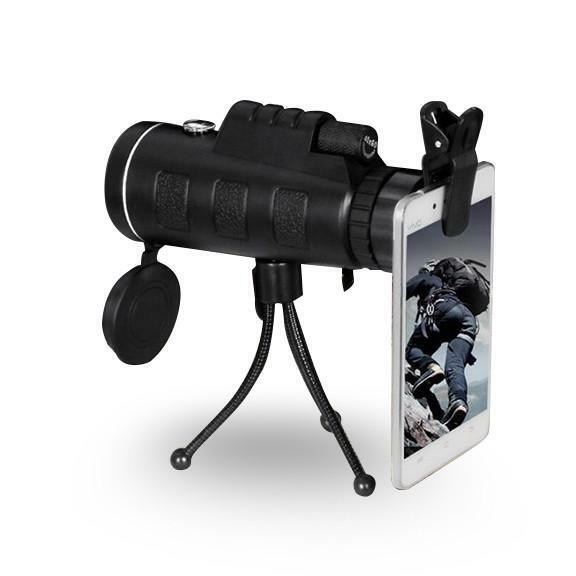 Zoomable Monocle Binocular with smartphone picture-taking capability. The monocle binocular is perfect for outdoors and sporting events, Bird Watching , Beach or just about any activity it brings your subject 40 times closer. Objects can be viewed up to 1/4 of a mile as up close like 20 feet away. 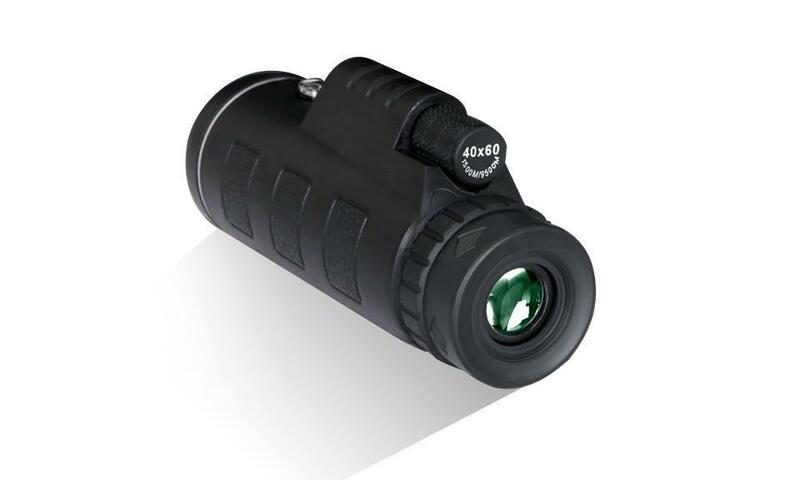 Superb quality and workmanship with micro focus adjuster and a built-in compass for outdoors. The Smartphone Clip attachment will allow you to use the Monocle binocular as lens to take pictures and video. Its clip goes over the phone's camera even when in the case. 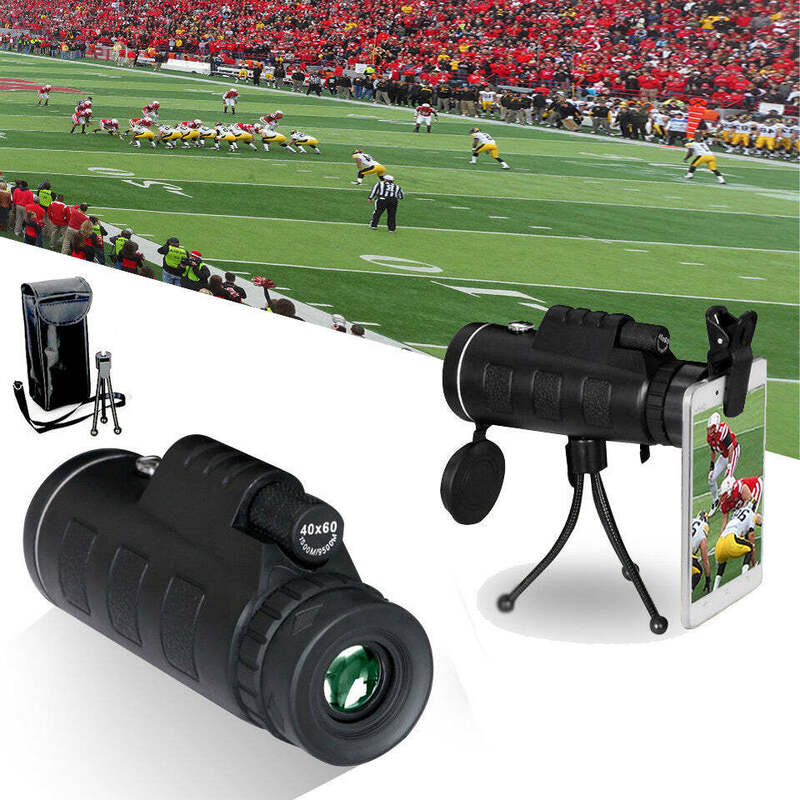 The binocular also comes with quick mini tripod and a carrying case with wristlet. Zoom Lens made from Glass Zoom from 20x to 40x up to 1/4 mile visibility. 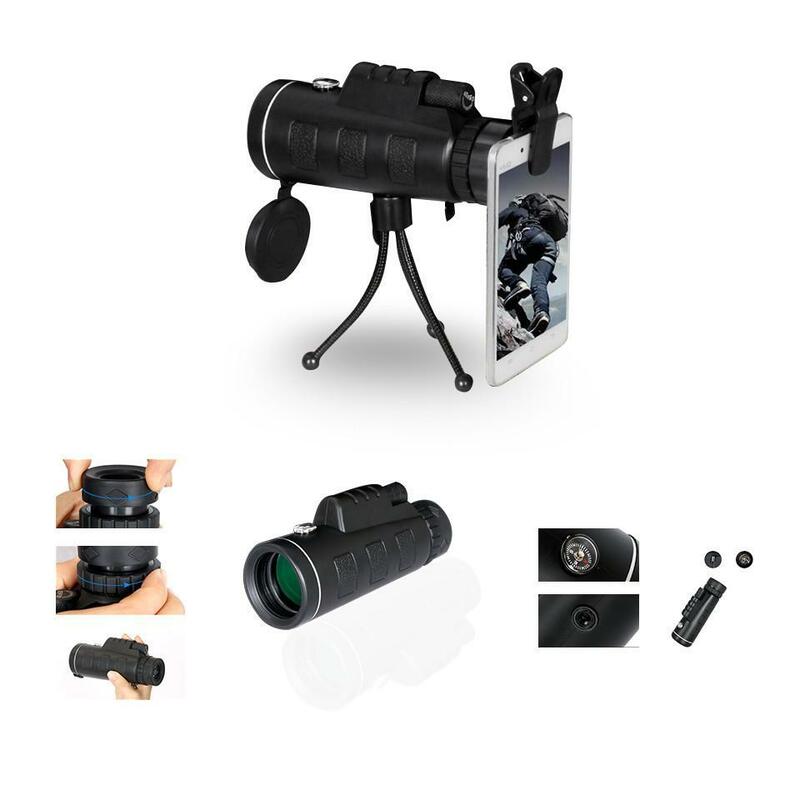 Comes with a Smart Phone Clip attachment to that works with any Smart phone Comes also with Quick mini Tripod and carrying case. Made from Black sturdy PC/ABS plastic rugged for indoor or outdoor use. Sock and drop protection with lens covers.